The 270-pound line drive hitter averaged .650 with 750 home runs over his career. Jim Yeager, a third baseman, was All-State three times, All-World twice and MVP of three NITs. Called by some “the best all-around player in the 12-inch professional league,” Tom Spahn played at a level that would be considered “major” today. The line drive hitting left center fielder hit over 600 home runs to go with a .637 lifetime average. A second baseman, Clancy Horn hit .686 with a 1,840 home runs over his 17-year career. His ball sense and clutch hitting made him the most exciting Rockford player to watch in the 70s and 80s. Considered the prototype leadoff hitter, the left center fielder possessed speed and base running prowess to go with a .715 lifetime batting average. His speed allowed his team the option of using a three-man outfield. Besides playing for many 12-inch teams, Dusek played on four National Championship Bobcat 16-inch teams. A shortstop whose defensive abilities were recognized by all who knew the game of slow pitch softball, Al Van Gampler also filled in as both a pitcher and outfielder over a 16-year career. A career .675 hitter, Van Gampler hit more than 300 home runs. He played ball for Malnars Tap (Joliet), Lilly Air Systems (Itasca) and Joe Blacks (Highland). Van Gampler played in five USSSA Major World Series. His 1985 Lilly Air Systems team, arguably the best ever from the state of Illinois, was ranked as high as fourth in the country by the National USSSA. He twice won the Best Defensive Player award in USSSA Major NITs and was named to numerous USSSA Major NIT All-Tournament teams. A five-time Illinois Class A All-State team member, Van Gampler was named MVP of both the 1984 and 1987 Open A State Tournaments. In 1996, he came out of retirement to play with Tron Piping, winning the USSSA 35 & Over Major World Title and again earning USSSA World All-Tournament team honors. An outfielder with a lifetime batting average over .600, Dan Prater was a power hitter with more than 1,000 home runs hit during his 17-year USSSA career. Prater played for Crowther Roofing/Buske Electric (1978), Burla Construction (1979-1986), Brown & Lambrecht (1987), Joe Blacks (1988), Acutron (1989), Bank of Westmont (1990-1991), Joliet Merchants (1992), Belchers Constructions (1993-1994) and his last year with Mid America Concrete (1995). Prater was named to two All-World teams, played on five Illinois State Championship teams, named State MVP three times, named All-State six times and was once named USSSA Open All-Regional. Prater once hit eight consecutive home runs at the Milwaukee USSSA Major Qualifier, winning the home run title with 11 in just four games. He is a member of the 1996 Men’s Major 35 & Over World Championship team Tron Piping, as well as an All-World selection. This hard-hitting shortstop began his USSSA career in 1972 and played until 1996. His teams included the following teams, all from Rockford, Illinois: White Eagles, AXA, Club 51, RMA, Twin Oaks, Forest Hills Lanes, Bullards, Rockford Stars, Miller Transportation, Town Hall and Little Caesar’s. With a .600 career batting average with 750 home runs, Shives was selected MVP at a 1976 Class B qualifier and a 1984 Class A qualifier. He also claimed All-Tournament honors at the 1976 Class B World Tournament in Tullahoma, Tennessee. His team, Forest Hills Lanes, won that World Championship. All-State tournament team awards include the 1976 Class B and 1977-1982 Class A. Shives played in every Class A or B State Tournament from 1976-1988 with the sole exception of 1987. He appeared in Class A Regionals from 1977-1982 and again in 1986. Shives also played in Class A Nationals from 1983-1985 and won the Best Defensive Player Award at the Class A Nationals in 1981. In 1989, Mick Balestri’s team, Bridgeport Crush, captured the first-ever USSSA Class A 16-inch World Title in Sturdevant, Wisconsin, and in 1995, the Crush also won the last USSSA Class A 16-inch World Title in Joliet, Illinois as he pitched a one-hitter in the title game. Balestri was named MVP of both of those USSSA Class A tournaments. In between, in 1992, his Luciano’s Gamblers team also won the USSSA Class A 16-inch World Title, and again, Balestri was named MVP. A pitcher, manager and number three hitter in the lineup was known to drive the ball into the opposite field and use his bat control to execute the hit and run. He would use any 16-inch player in the game to help give his team an advantage over their opponent in a game. 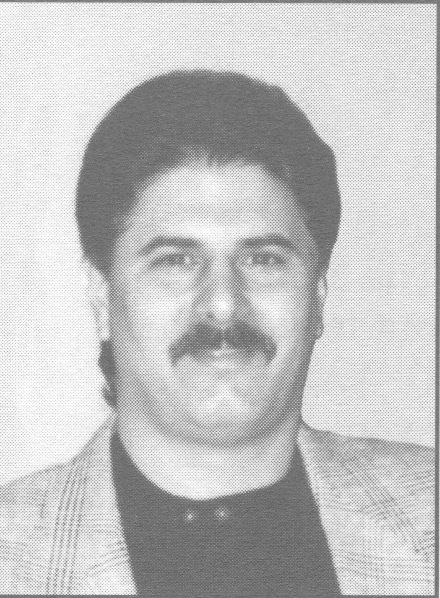 In 1992 at the USSSA Class A World Tournament, Balestri pitched four shutouts for Luciano’s Gamblers, and they captured the World Title that season. In 1993, he was named MVP of the USSSA Men’s 16-Inch Major State Tournament in Orland Park, Illinois. Two times, Balestri was named MVP of a Major 16-inch league and twice he was named MVP of a Class A 16-inch league. His teams have also finished in the top eight teams at four USSSA State Tournaments, and in the top three at two other USSSA 16-inch World Tournaments. In 1989, at the USSSA Class A 16-inch World Tournament, he was named as the manager of the All-World team. He has played in a total of nine USSSA 16-inch World Tournaments and eight USSSA 16-inch State Tournaments. He describes his greatest thrill in softball as winning the first ever USSSA Class A 16-inch World Tournament and being named MVP of that event. As a player, he always took pride in his defense and leadership. He has enjoyed being able to play USSSA softball at the different stadiums and complexes all over the Midwest. A back injury in 1994 has limited his playing time, but he remains an active manager. Dirk Androff was a Decatur, Illinois native and outstanding athlete at Decatur Eisenhower High School, where he earned all-city honors in basketball and football. He attended Eastern Illinois University, where he competed in both sports. After graduation, he had a free agent try-out with the New York Jets. His fame, however, came in slow pitch softball as he began his career with Belleville Budweiser and the St. Louis Rockets. Androff became a slow pitch household name as he signed his first major division contract in 1998 with Steele’s Silver Bullets. In 1991, he joined Ritch’s Superior/TPS and earned USSSA World Series MVP with the World Champions. Androff participated on 21 World and National Men’s Major Championship teams, with a lifetime batting average of .733 and 1,814 USSSA home runs at the Major Level. In addition to USSSA World Series MVP in 1991, he was a four-time USSSA All-World team selection and currently remains on the USSSA Men’s All-Time All-World team, which is selected on the basis of World Series All-World selections, World Series MVP Outstanding Defense Player and Hall of Fame recipients. Without argument, Androff was one of the finest slow pitch players from Illinois ever to play the game.